Inspired by the Rose Parade in Pasadena, California in the USA, Malaysia’s colourful Citrawarna, first introduced in 1999 and now in its 17th year, is back this weekend at Dataran Merdeka, Kuala Lumpur. 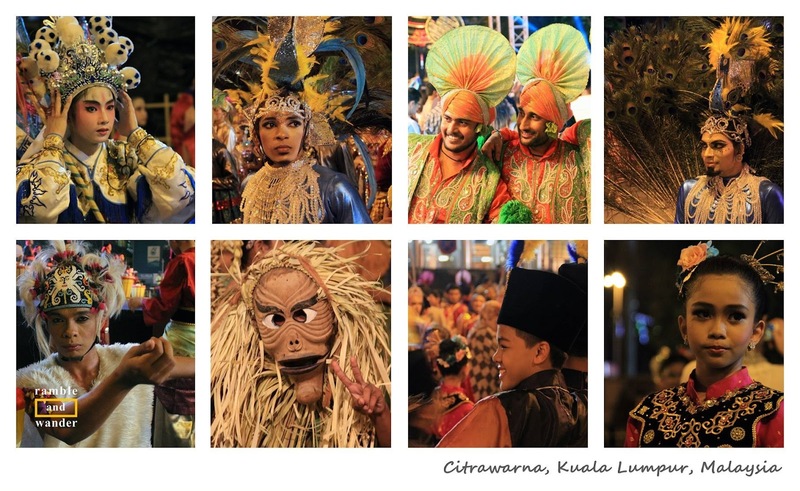 This year’s event, dubbed Citrawarna@KL 2016, promises to be the biggest yet, with the festival being in planned for the whole weekend instead of just the usual one-night event. 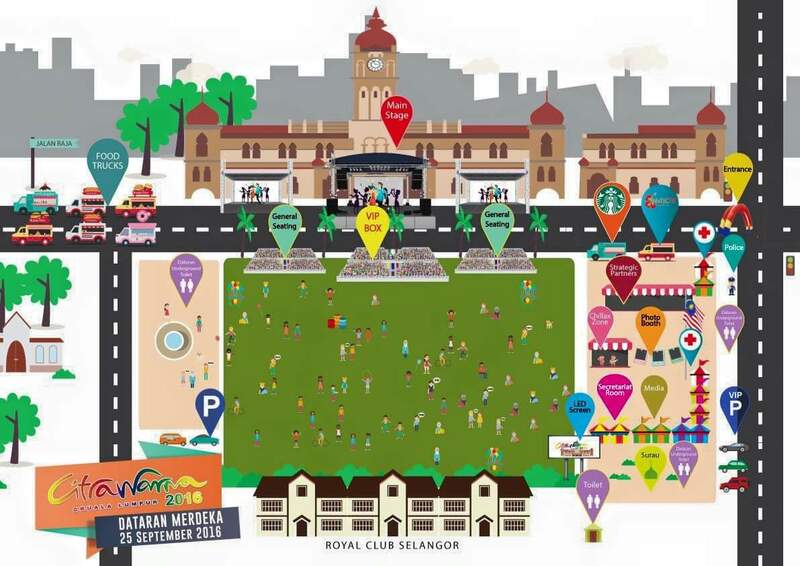 On Saturday 24th and Sunday 25th, Dataran Merdeka will be filled with various interesting activities. 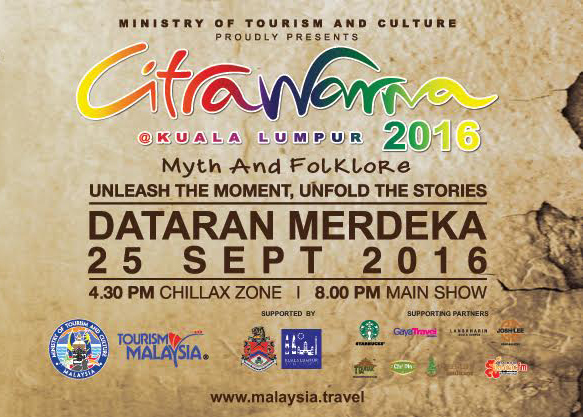 Citrawarna@KL 2016 offers 2 segments, the first of which is Chillax Zone, which would take place over the 2-day weekend until 11 pm. Among the activities planned for this segment are Buskers’ sessions, Photowall, Coffee Corner, KL Food Truck Fiesta, traditional games, as well as exhibitions and promotions by the event’s strategic partners. 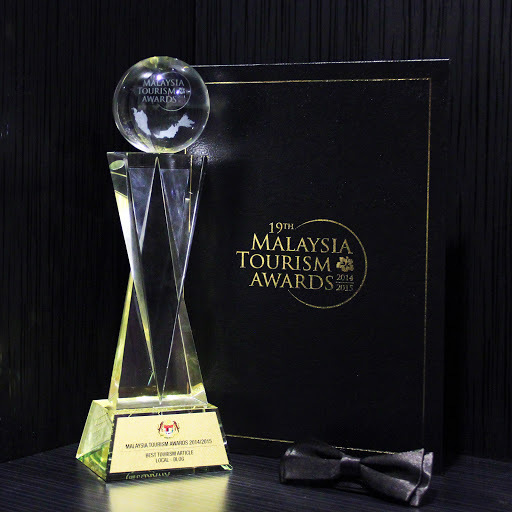 The second segment however would be the highlight of Citrawarna@KL 2016 for most visitors, both local and foreign. There would be street performance based on the myths and folklores that are popular in each of the 13 states in Malaysia - something that I personally am very much looking forward to watching. Scheduled to start at 8 pm on Sunday 25th September, these performances would highlight some of the more popular myths and folklores in Malaysia such as Johor’s legendary Puteri Gunung Ledang, Kedah’s Merong Mahawangsa Saga and Melaka’s Hang Tuah Saga. It would however still be interesting to watch the rest of the performances too, as some, like Negeri Sembilan’s Sang Kelembai, Kelantan’s Cik Siti Wan Kembang and Terengganu’s Bukit Puteri (Princess Hill) would certainly rekindle childhood memories (for me, at least), while some others, like Sabah’s Kuminodun Puteri Nabahu, Sarawak’s Tugau and Selangor’s Upu Chendera would be something new to learn (again, for me, at least). Personally, I just couldn’t wait to travel throughout Malaysia in just one night through performances of these myths and folklore. Hoping to also have a great time taking photos like these, which I took at Citrawarna@KL 2014. If you’re in KL or just outside KL, do come and join me on Sunday night. Kelana Jaya LRT Line service would be extended until 1 am that night. KTM Komuter would be extending their service hours as well. These festivities are amazing, I've been into one during my Malaysian trip, and all I could say is it is fantastic, it also shows how they value their culture amidst changing environment. Asian festivals are really colorful and often informative in many ways, since it depicts their culture and religion. I'll be in Malaysia this mid-October, do hope I can still watch some of these.